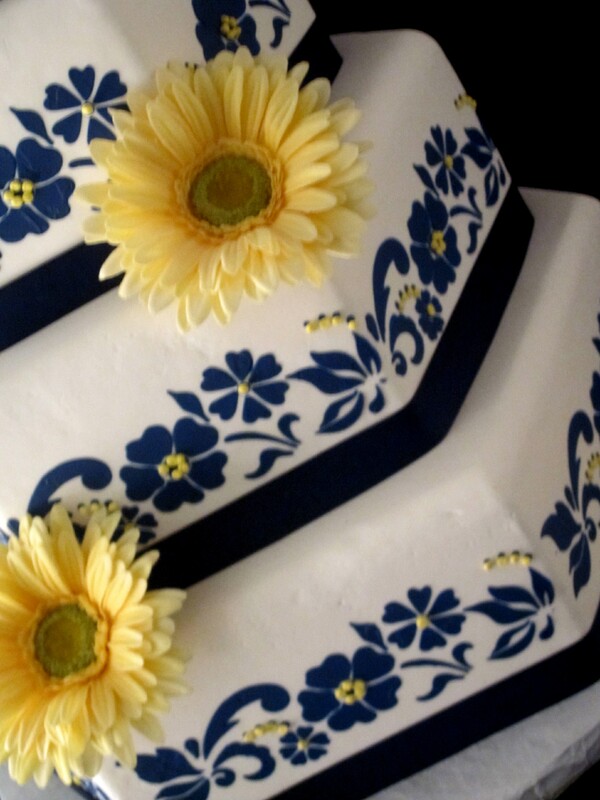 This pretty 4 tier embroidery style wedding cake is decorated with white spider mums. 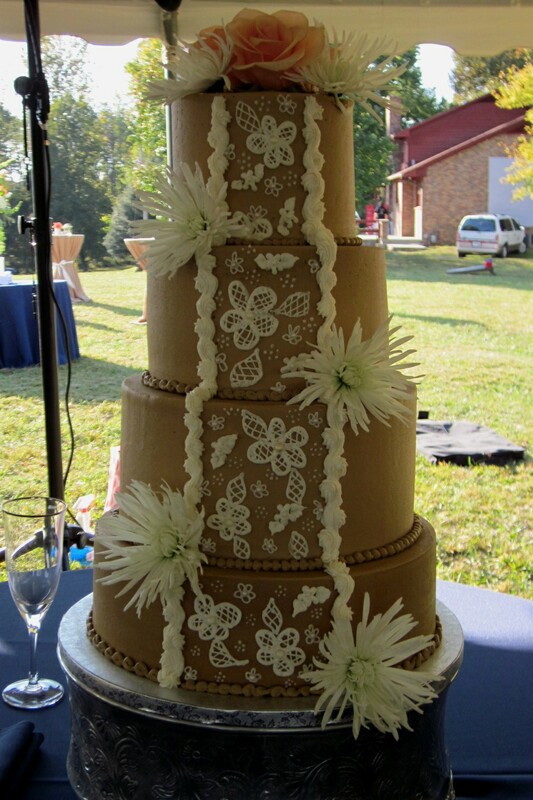 The cake was iced in a beige buttercream and piped in an ivory buttercream. 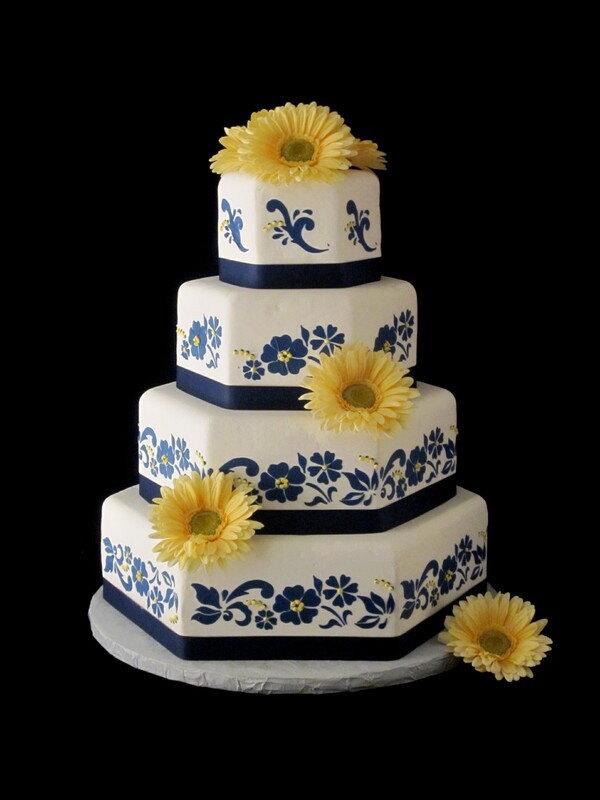 Each tier of the cake was a different flavor. 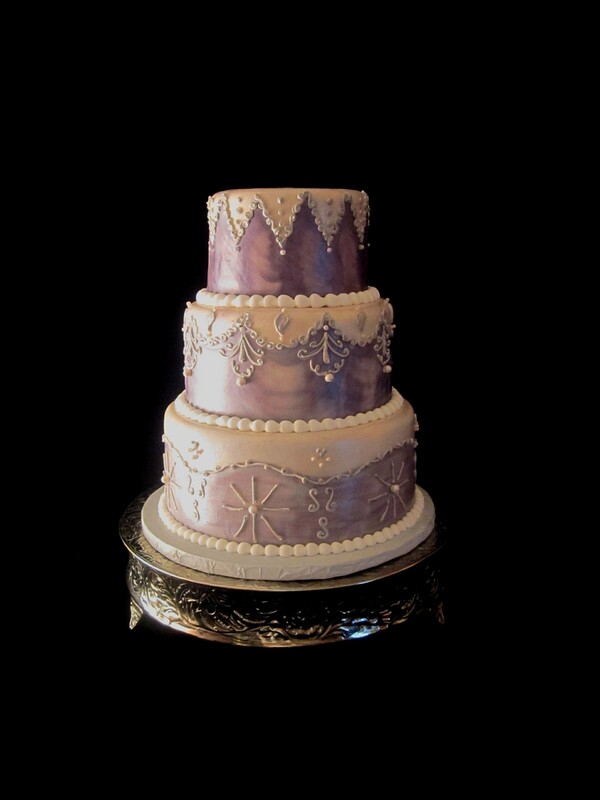 To schedule your complimentary wedding consultation and tasting, call The Twisted Sifter Cake Shoppe at 859-238-9393. 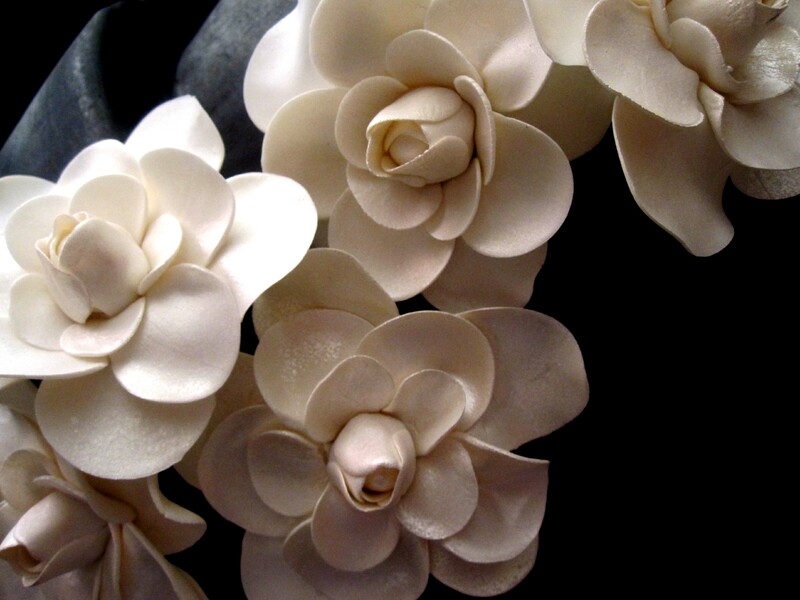 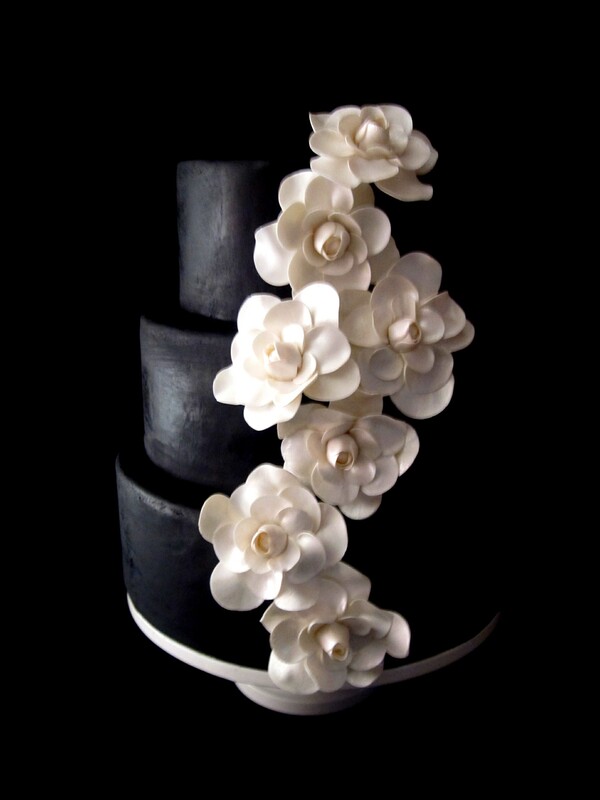 This black and white fondant wedding cake is adorned with gumpaste gardenia flowers. 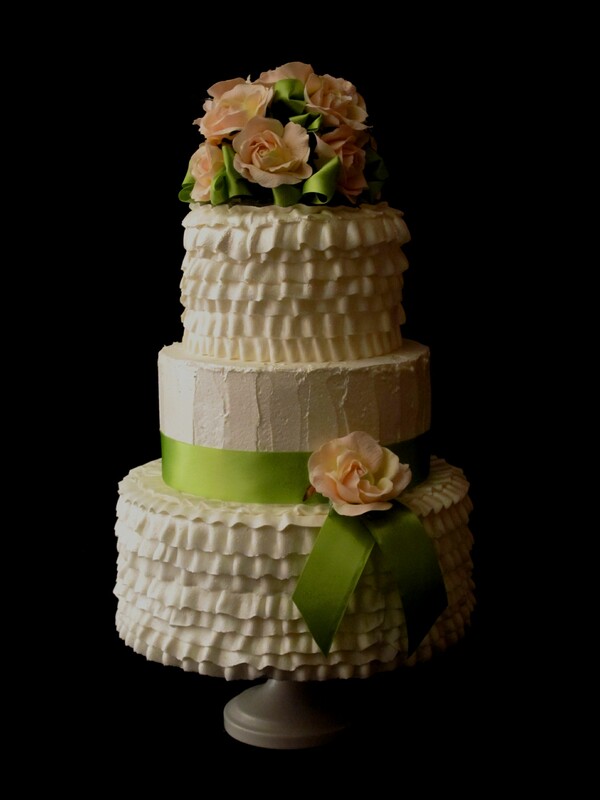 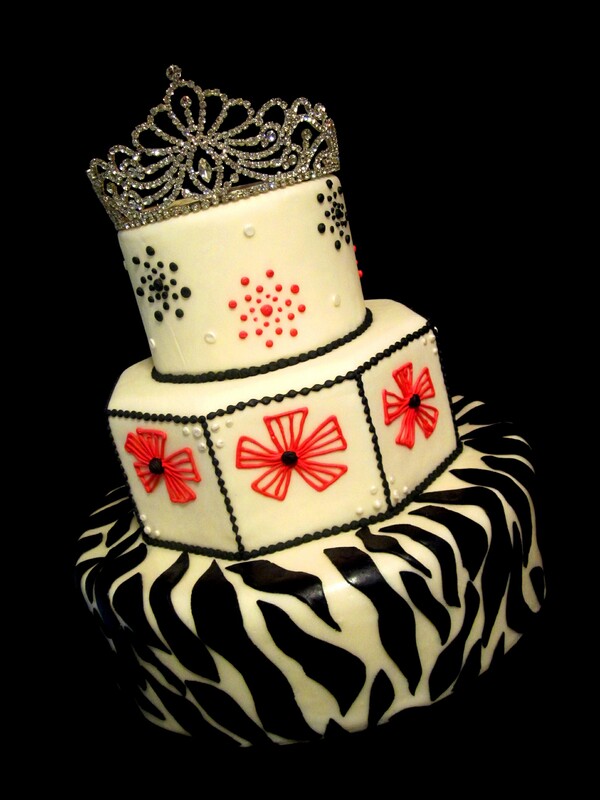 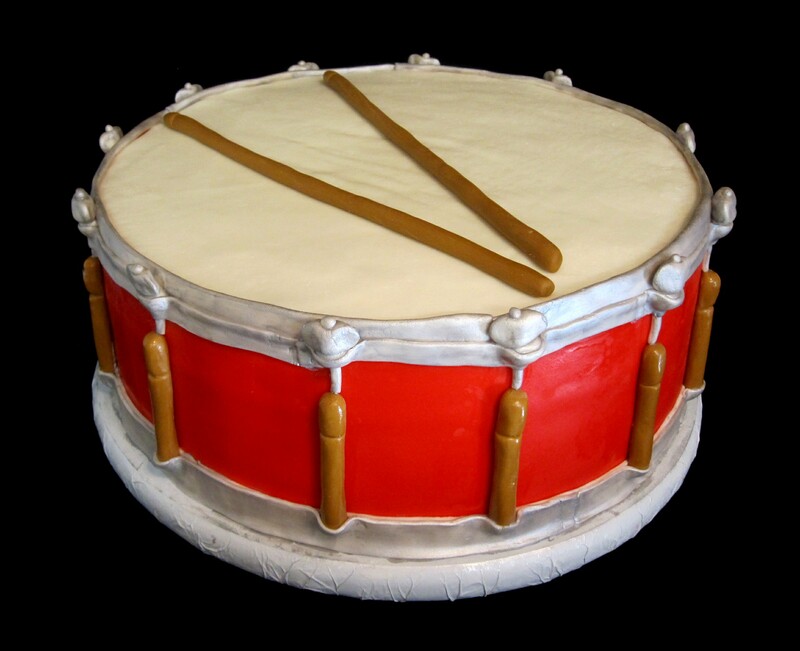 To schedule a complimentary consultation and tasting call The Twisted Sifter Cake Shoppe at 859-285-0306.